To live, a man needs food, air and water. Fortunately, the Ukrainians have bread and some fresh air, but there is no drinking water left for more than 35 million of Ukrainian citizens. Our fellow citizens drink poisoned water. Large-scale regulation of the Dnieper River, the main source of drinking water in the Ukraine, caused unprecedented destruction of existing biocommunication, disrupted ecological balance, changed water exchange conditions. Irresponsible human activities, namely uncontrolled discharge of untreated industrial, domestic and storm sewage by tens of thousands of businesses along the Dnieper River and its tributaries, turned the river into the main waste channel of Ukraine. The Dnieper River has lost its self-cleaning function. However, Ukrainian water services companies are trying to make drinking water from diluted sewage. Available treatment technologies are not able to make drinking water safe to consume, that is why eight out of ten Ukrainians are forced to drink and use liquid, which causes irreparable harm to their health and life. We believe this is the reason why 9 out of 10 Ukrainians consider themselves to be sick people today. During the years of independence, the country’s population declined by more than 6 million people, and average life expectancy dropped by 3 years and became 10-13 years lower than in Western Europe. On reaching retirement age, more than 90% of the working population are suffering from serious diseases. Death rate in the age from 20 to 50 years (in the prime of life) increased by 2.2 times, while the mortality of working-age adults in Ukraine is 2-4 times higher than in Western Europe. With such a dynamics, our grandchildren will live 8-11 years less than their grandparents will. Nowadays, 85% of schoolchildren have significant health deviations; from 60 to 80% of the draft-age men have various medical restrictions from military service. Mr. President, we address ourselves to you as the Protector of the Constitution, whose duty to the people of Ukraine is primarily to provide decent and full life for every citizen of our state. It is in Your power and will to establish a final and unconditional order in water management and water supply, bring to account persons who are in some way involved in the situation where people of Ukraine are deprived of affordable and safe drinking water. We realize the difficulty of the task, yet it is dictated by the interests of national security. We should start with the rehabilitation of our rivers and lakes and renovation of natural state thereof. Currently, ecological status of basins of 90% of Ukrainian rivers, where the water is withdrawn, was evaluated as “very bad” and “catastrophic”. According to experts, there are maximum 10% of water cleaned up, while the rest is polluted almost everywhere. The water of the Dnieper River and other rivers of Ukraine is potable neither in its natural state, nor after treatment by water intake stations. The main culprits of this outrage are the owners of industrial enterprises, which use water for productive purposes and are not concerned about its nature state and safety. Generally, these businesses dilute used and polluted water with clean one and then discharge it into the water reservoirs. First and foremost, this relates to the Dnieper River with 50 large cities and industrial centers, around 20 thousand industrial enterprises, more than thousands of municipal services spread along the river banks. 35 million population drinks water from the Dnieper. Not only the scale of pollution, but also nonfeasance of regulatory bodies and representatives of local authorities, is horrifying. 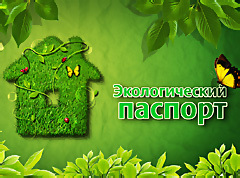 Their criminal omission and connivance cause the ignorance and violation of the Water Code of Ukraine—the fundamental law ensuring the preservation and rational use of water for the needs of population and industries, as well as protecting the rights of enterprises, institutions, organizations and citizens on water use. We express deep concern over the fact that construction and commissioning of new capacity sewage treatment plants has almost stopped recently while water supply facilities continue to increase. There are almost no treatment facilities for rainstorm runoff. Due to the fact that the deterioration of municipal water supply systems in Ukraine reached 60-70%, water is secondarily polluted when passing through the water supply network. Unfortunately, today the economic priorities and the position “now we find it hard to afford it, but when we become stronger and achieve appropriate financial stability, then we will fix it” still prevail over the arguments of the environmental component of business. We forget that we are to pay for our cowardice and desire for immediate superprofits with our own health and well-being of our future generation. Perhaps it is time to recognize this price is too high. First, immediately stop poisoning the population of Ukraine with dangerous to the health and life water, provide the population of cities and communities with free drinking water in the amount of 3 liters per capita per day. The solution to this problem may be found in the expansion of network and stations of multi-stage post-treatment of drinking water in cities and communities, delivery of drinking water in those communities where central water supply is not available, construction of pump rooms, as some underground water sources are clean and meet sanitary regulations for drinking water. At the same time, there should be everyday tight control of the sanitary-epidemiological service over the drinking water quality. According to the calculations, state and local budgets will spend maximum 15 billion hryvnia for free supply of drinking water. On the plus side, the Ukrainians will drink water of high quality, the number of sick people will decrease, life expectancy will grow, people will spend less on drugs, be on medical leave for less period of time and, therefore, work more. In general, that will be profitable, rather than costly for a country. Second, decrease the volume of poundage of the Dnieper cascade by 16 billion m3. Today, it is in excess, contravening not only the Water Code of Ukraine, but also common sense. It will enable us to upgrade thousands of small rivers, significantly reduce the territory of submergence areas and, consequently, reduce the annual economic losses of the state and population budget. The conditions for fish farming will improve; the natural conditions of water exchange will be created. Lowering the water level in the reservoirs will significantly reduce the possibility of environmental and social disasters due to a possible failure of the Dnieper cascade dam. Hidden pipes for effluent discharge and water withdrawals will in most cases be on the surface, and all environmental crimes can be observed visually. Third, require all business entities to comply with environmental legislation. Together with help of financial investments, water pollutants should be forced by law to build not global but local treatment facilities at each site of harmful wastewater discharge. Business entities should be bound to equip autonomous storm facilities in their territories within 1-2 years. It is necessary to introduce a fee for each square meter of open hard surface in the absence of rainwater harvesting and purification, which will create economic background for businesses to build their own waste treatment facilities, rather than pay large sums for the absence thereof. The funds raised are to be channeled not only for the provision of free drinking water, but also for upgrading of publicly owned utility's wastewater treatment plants. The requirements and control over industrial waste water and quality of their treatment should be tighten. Addressing the ecological rehabilitation of the Dnieper River basin and improvement of the drinking water quality is one of the most overriding questions concerning not only the credibility of Ukraine, but also its ecological and social consistency. The question is the fear of biological and genetic degradation of our people, the impossibility of sustainable development of the country. Today, this is the issue of national security. Mr. President, being confident in your desire to improve the quality of life of the Ukrainians, ensure vital activity security and knowing your strong belief in the necessity of integration into the European Union, we have no doubt that all the necessary changes will occur. Incompleteness, inconsistency, and delay in solving this problem for Ukraine are a catastrophe of national significance.